When Looking For A Home Loan, Either To Purchase Or Refinance Your Home, Residential Mortgage Services Are Your Local Lending Experts. We Are Both Mortgage Bankers And Mortgage Brokers, Which Means We Can Beat Both The Banks And Credit Union By Offering You The Lowest Rates And Fees On Your Loan. Contact Us Today For A Free Consultaion. 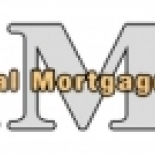 Sean M Iwasaki | Residential Mortgage Services in Las Vegas is a company that specializes in Legal Services. Our records show it was established in Nevada. Ilidio Dos Santos Galeiras & Cia, Lda.